Sponsored by the Archdiocese of Baltimore and the Association of Catholic Publishers, in partnership with the Leadership Roundtable, the sixth annual conference for pastoral ministers up and down the East Coast attracted more than 1,400 people to the Baltimore Hilton Feb. 16-18. Opening keynote speaker Archbishop Wilton D. Gregory of Atlanta followed the creation story with a talk reflecting on the dignity of creation, especially considering Pope Francis’ encyclical “Laudato Si’,” about the care of our common home. The archbishop noted that the phrase “God saw how good it was” appears five times in the opening passages of Genesis. That indicates that God was obviously admiring his works of creation. It also makes it a moral and spiritual obligation for people today to “see how good it was” and take care of the created world God entrusted to us. The created world is not good merely “because it is profitable or usable or exploitable. First and foremost, it is good because it reflects God’s goodness itself,” the archbishop said. We must be grateful to people who call attention to the fragility of the planet, but safeguarding human life must be the starting point. 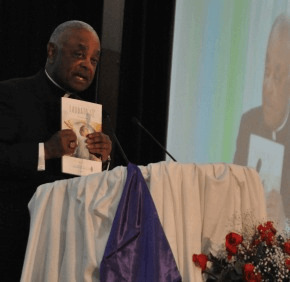 “The life of human beings enjoys a priority of importance in the environmental concerns because those who have been entrusted with the care of creation must themselves be safeguarded in order to accomplish our divine assignment of caring for his creation,” Archbishop Gregory told attendees. Archbishop Gregory, who recently chaired a task force of the U.S. Bishops Conference to Promote Peace in Our Communities, also pointed out that the dignity of life includes those affected by the “tragic eruption of widespread violence” that has had a direct impact on African-American communities and law enforcement communities in many cities, including Baltimore. “This explosion of violence has shaken our national sense of wellbeing,” he said. He noted that increasing concerns about the environment have received intensified attention because of so many examples of destructive exploitation and wanton damage that humans have done to what God first saw as good – the universe he created and the people he fashioned to tend to it. The archbishop said St. Francis of Assisi was a 13th-century ecologist without even knowing it because of his mystical and loving relationship with all creation. He asked the conference-goers to recall Francis of Assisi and rekindle his profound spirit of wonder, noting that without the benefit of modern science, he could view all of nature as a treasure to be shared and preserved for those who will follow. He encouraged those representing dioceses to work collaboratively with others to develop a pastoral and practical response to “Laudato Si’.” He acknowledged the Archdiocese of Atlanta’s partnership with the university of Georgia’s Environmental Department in Athens, Ga., to prepare and promulgate a local response plan to the encyclical. “The one portion of humanity that is especially and directly impacted by the destruction of our environment are those who are poor – those who have the least ability to halt or to modify the exploitation of the natural resources that sustain us all,” Archbishop Gregory said. 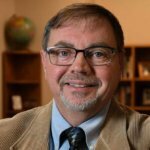 “We all depend upon the health of the climate and the resources of the earth, but the poor in particular seem to suffer most when God’s creation is abused. “Without the means to change the ruination of the climate or the fragile condition of the earth, the poor frequently have their lives completely subjected to the whims of industry that destroy forests, pollute streams and rivers, and ravage the landscapes upon which the poor depend,” he said. “God’s creation can replenish itself but not as quickly as the international corporations and interests can manage to deplete it,” he added. The evidence seems to be incontrovertible that human beings are not tending the world as God created it and intended it. St. Francis, who lived 800 years ago, “would not have envisioned the power of modern-day machinery and technology that now make it possible to visit Sister Moon and to harness the energy from Brother Sun and Sister Wind,” the archbishop said. He called St. Francis of Assisi and his namesake at the Vatican, Pope Francis, shining examples of people who take the opening words of Genesis literally and who challenge us to do the same, beginning with respecting the dignity of the human person. Other featured speakers at the Mid-Atlantic conference included Carmelite Sister Regina Marie Gorman, vicar general of the Carmelite Sisters of the Most Sacred Heart; Dr. Hosffman Ospino, assistant professor of theology and religious education at Boston College’s School of Theology and Ministry; and Joan Rosenhauer, who heads domestic programs and advocacy for Catholic Relief Services. Archbishop William E. Lori of Baltimore was celebrant and homilist for the Mass Feb. 17.